It was developed by research and development company Vetroen in the early 1990s and the electricity was assumed to give energy for the city water intake during malfunctions and emergencies. But that did not happen. Here is our material on how a wind-driven station was built, how much energy it gave, how it stopped operating and why scientists do not see the benefits of a large-scale installation of windmills in Vorkuta. 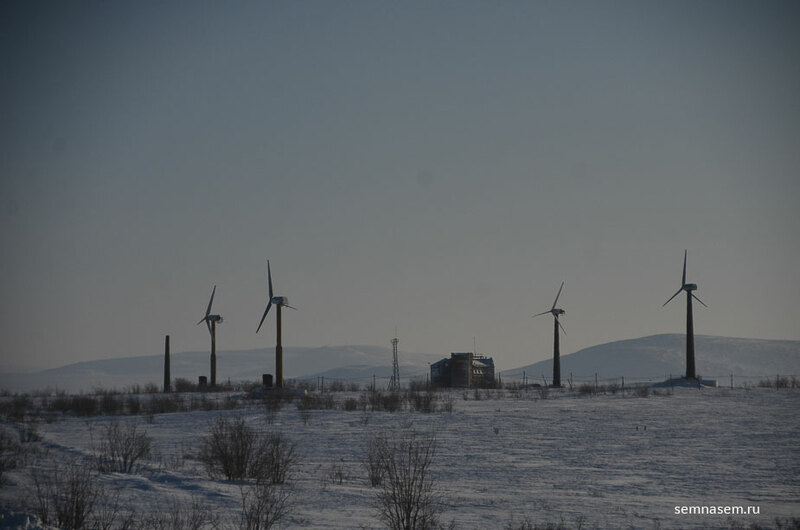 Many Vorkuta residents know that windmills have been standing 32 kilometers from the city for many years. It is not far from the water intake on the river of Usa — the drinking water source of the city. But almost everyone with whom the «7x7» correspondent spoke were sure that the turbines had never operated. This was repeatedly said by former city mayor of Vorkuta Igor Shpektor (headed the administration from 1998 to 2006). In 2014, he told his version of how the windmills appeared and why they “did not work” to newspaper Tribuna. According to him, in the early 1990s, together with former Komi head Yuri Spiridonov, he visited Greenland, where he saw a wind generator. Shpektor was so impressed by what he saw that he decided to make the same station in Vorkuta. The power line was kept on wooden poles, which often broke, electricity was turned off at the water intake. It was the reason to install windmills, so that they could automatically turn on during breakdowns. According to the ex-mayor, Spiridonov commissioned the installation of windmills in Vorkuta to the Komienergo director Mikhail Kosolapov, and he bought Russian windmills, not foreign ones. «We were supplied with units by a plant that was once connected to the military industry and had no experience in wind energy. They projected a completely incomprehensible thing! Windmills were standard, but they also added a huge building with dispatchers, garages, and rest rooms… Complete nonsense! When everything was installed, the units did not work. And the hope that we will get 2500 kilowatts of electricity per hour (at the rate of 250 kW per windmill, and 10 were planed) faded. We did not get anything,» Shpektor said. The Vorkuta Central Heating and Power Plant №2, which supplies most of the electricity to the city, is built 13 kilometers from the center, near the village of Severny. To get there, you need to go to the bus stop near the village and from there walk 15 minutes along the tundra. 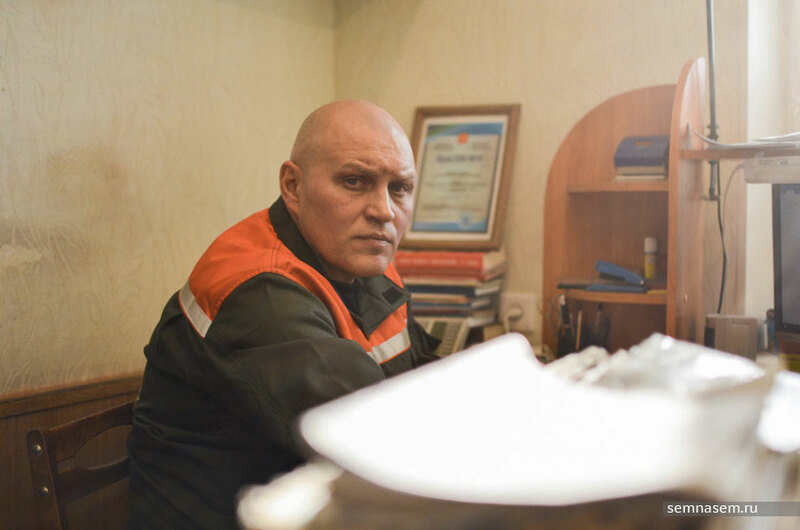 The head of the electrical service is Nikolai Terentyev, who participated in the installation and commissioning of experimental windmills near the Usinsk water intake in the mid-1990s. «I expected you tomorrow. Come on in. I have all the papers on the wind generators in my office. I decided not to throw them away — they will suddenly come in handy,» says Nikolai and invites me to his office. When the management of “Komienergo” (now a branch of the Interregional Distribution Grid Company of the North-West) approved the installation of wind generators, Terentyev worked in Vorkuta electrical networks. In the early 1990s, he entered a specially created group, which was instructed to mount windmills and put them into operation. The wind generators were projected by the research and production association Vetroen in Moscow. It not only defined the main goal of the project — to check the reliability and efficiency of using wind generators in the Far North — but also was responsible for the purchase of spare parts, overhauls and operation. As Terentyev recalls, the wind station was purely experimental and did not operate in the industrial-operational regime. To install wind turbines in the tundra, in permafrost conditions, it was required to improve the foundation. «Research Institute PechorNIIproekt has developed a special fund for windmills — with underground and aboveground parts. This design allowed to increase the stability, so that they did not fall. They [trial foundations] have proven themselves well, and it was decided to build a wind station near the dam. One of the goals of the station’s construction was to provide the engines and pumps of the dam with an alternative source of power,» Terentyev recalled. The first tower of the future windmill was delivered to Vorkuta in 1992. By that time, 10 foundations had already been built. In the same year, the first generator was launched. By the end of 1995, there were already six, but they decided to suspend the installation. The team worked in several shifts, the windmills were managed by the operator, who was tracking the malfunctions. The components were ordered at several enterprises, including Yuzhmash in Dnepropetrovsk. Wind turbines could produce 250 kW/h with a wind speed of 12.5 m/s. «We did not have a goal to develop the maximum amount of energy. The wind power station was experimental, and we were tasked with operating the equipment in the Far North, find out the causes of failures, constructive errors. We sent all the data to Vetroen, where it was processed, and they issued technical solutions: how to fix certain defects in equipment. This was the main task at that time,» Nikolai Terentyev says. The electric power generated by wind power units was transformed and transferred to an industrial network. We failed to energize the Usinsky water intake, even in the training mode, because of bureaucratic delays. «In 1995, one of the wind turbines produced 41.5 megawatts. Imagine that one kettle can be heated by spending 1 kilowatt for it. It turns out that then we сould have heated 41,500 kettles,” Terentyev says. Sometimes some details were out of order, so some installations could be idle for several months, while details were delivered to Vorkuta. The record of the work without interruption — 11 days. As Nikolai Terentyev said, the minimum annual average wind speed at which the use of windmills would be justified was 4 meters per second. In Vorkuta, according to his measurements, this value was about 6.7 meters per second. With a wind of 12.5 meters per second, the wind generators gave a nominal power of 250 kilowatts per hour. Once, a former governor of Chukotka, Roman Abramovich, arrived in Vorkuta to assess the potential of windmills. «As a result, he concluded an agreement with Vetroen, which built a wind station in Anadyr — 10 wind power units. In comparison with Vorkuta, they were modified. Vetroen has worked on their “brains,” Terentyev highly estimated the efficiency of the station in Chukotka. In Vorkuta, the same windmills were tested in pilot mode until 2006. Then they were handed over to Vorkuta Central Heating and Power Plant №2 with a new task: to test windmills as part of multifunctional power complexes. Simply put, mobile complexes, which included, among other things, a truck, a car, a diesel engine and the wind generator itself. The experiment lasted until 2008. Owners of the wind station put it out for tender several times, but a buyer was never found. «It would be nice to revive this project. With other units, with other tasks. It would be great,» Nikolai Terentyev believes. Yuri Chukreev, the director of the Institute of Social, Economic and Energy Problems of the North of the Komi Science Center of the Ural Branch of the Russian Academy of Sciences, thinks that it is illogical to build and use wind stations in Komi. According to him, the region has enough electricity from the Pechorskaya hydro-electric power plant and city thermal power plants. The scientist is sure that Vorkuta does not need windmills, as two combined heat and power plants operate here and energy also comes from Pechora. «In relation to technical and economic indicators, wind turbines do not fit anywhere. Murmansk is a different story: a nuclear power plant will be closed there soon. There it can be in demand. And we want it the way it is abroad. They put windmills because they do not have the energy, so as not to buy our expensive gas. We have plenty of other opportunities — gas, oil, coal. It will be cheaper. This [installation of windmills] is a trend, and I can not explain it to others,» said Yuri Chukreev. The scientist explained that it is still necessary to create an alternative source of energy for each wind station or wind park — to build a power line or build a boiler house that will “work in parallel.” The total costs for this will be much higher than the cost of electricity from already operating enterprises. «I would use small nuclear power plants in Komi, such as those that stand on ships. And the use of individual windmills is not welcome. In Europe, many windmills are built at once — wind parks. One windmill is not enough,» considers Chukreev. The company Vorkutaugol agreed with him. It has been testing the wind generator for several years. It was presented by partners in 2013. The management of “Vorkutaugol” decided to install it at the central railway station, which belongs to the company. According to the press release, “the wind generator will help during the accidents to avoid laying-off the cargo transportation of the coal company”. It was emphasized that the installation already saves electricity. «If the tests of the wind generator will give positive results, we will purchase similar installations for four more of our railway stations,» said the director of the Vorkuta transport enterprise, Andrei Schweitzer. 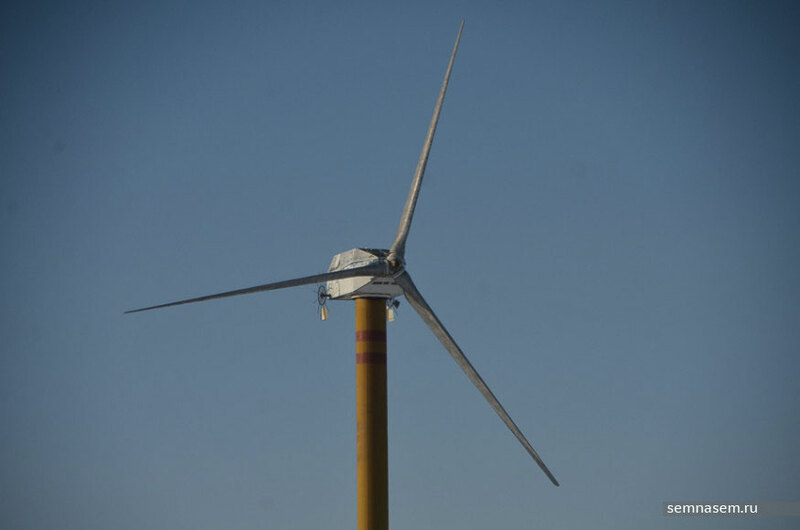 The company added that the twenty-year work of one windmill will save about 175 tons of coal and reduce carbon dioxide emissions into the atmosphere. Five years later, Vorkutaugol was informed that the wind generator was operating inconstantly, therefore the company refused to buy a battery that would allow it to accumulate energy. According to Yuri Chukreev, if wind energy can be developed in Komi, then only on private farms and small companies. With the ideal scenario, people can not only provide energy for themselves, but also earn, passing surplus to the system. This is the case in many European countries. In Russia, monopolists are not always interested in this, but there are exceptions.